Write Away!℠ workshops. Participants find the workshops illuminating, liberating, and lively. They particularly like the number of practical tips they pick up in a short time. Editing and proofreading. You can cut costs by drafting copy in-house and turning to me for polish. Coaching. Another cost-effective way to refine writing is gaining rapid insights through a few coaching sessions. I have coached individuals locally and—via phone and email—on both coasts. Customized style guides. Even an extremely brief style guide helps ensure that employees write more consistently and correctly. I've never had more positive feedback from staff on a professional development workshop. It really got people thinking about how they are communicating. I am still aware of how much I use the tips I learned several years ago attending every session of one of Norm's workshop series. His engaging teaching style puts everyone at ease and immediately gets them ready to learn. Mission and vision statements can be dreary, but Norm created something for us that was so spot-on and inspiring that I did more than put it in writing. I used the beginning for dozens of small-group talks with employees. Norm's 8 am workshop on "Secrets to All-Star Emailing" engaged our group immediately. An hour later each of us was eager to apply Norm's email tips at work. I have participated in several training sessions here. While all have been beneficial, this seminar was the most immediately relevant to my job. I think this should be a requirement for all employees. Our staff now understands the importance of clarity and brevity, and they are motivated to work toward that in their writing. I learned more in three hours than I did at a two-day seminar in Atlanta last year. 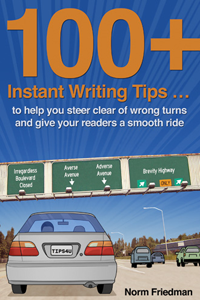 Without transporting us back to the classroom, 100+ Instant Writing Tips shines a bright light on common errors that undermine our credibility while offering dozens of ways to make writing more dynamic and graceful. The book will immediately boost the quality of your writing whether you read it cover to cover or rely on the index to solve daily dilemmas at work or school. Though brief and breezy, 100+ Instant Writing Tips covers key writing issues of correctness, clarity, and brevity while presenting plenty of examples. It packs a lot into 77 pages. 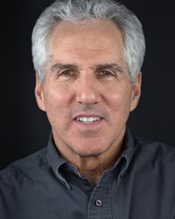 © Norm Friedman Powered by Dynamics Online, Inc.